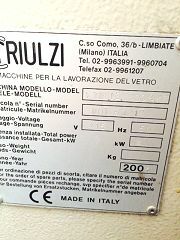 Triulzi variable thickness glass washer, 2.5mtr, 4 brush, left to right direction. 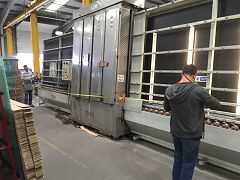 Capable of washing 4-19mm thick glass. Comes delivered and installed with warranty. Heavy duty, high quality/specification machine. Can be refurbished to full original working condition.